Having a safe place to organize your valuables is a must for Florida homeowners. Every year, this state experiences harsh weather that threatens or destroys personal property. 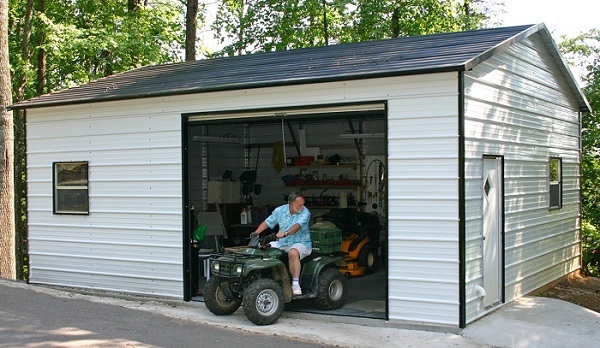 A well-built metal garage can protect your vehicles, yard equipment, and other valuables from inclement weather. And if you are looking for a durable garage kit, you can count on Alan’s Factory Outlet. 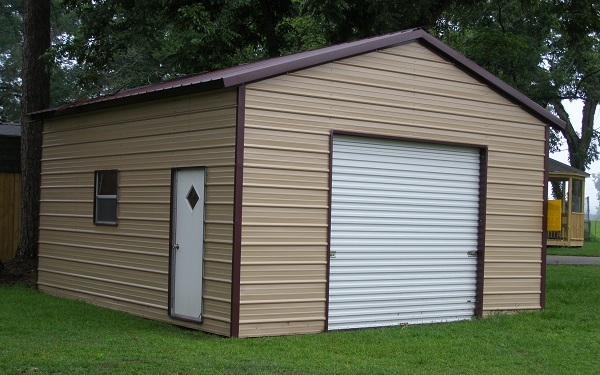 Our steel garages are fully customizable, from the garage size and color to the roof style. And better yet, delivery and setup are free throughout Florida. Get exactly the steel garages Florida properties need at a great price with great service when you shop with us! Multiple anchoring options: Choose mobile home anchors or cement anchors. With our customizable garage kits, Florida residents can choose the roof line, size, color, and window/door placements that best suit their needs. Our most economical roof line has a rounded side. There are also two different A-frame options. The vertical roof style has the advantage of helping water run off the roof. We provide full descriptions of all of our roof styles on our website. Alan’s Factory Outlet also offers Floridians a choice of 13 different colors for the roof, sides, ends, and trim of their metal garages. Florida residents have many different color options, so it’s easy for you to match the garage with the rest of the property! 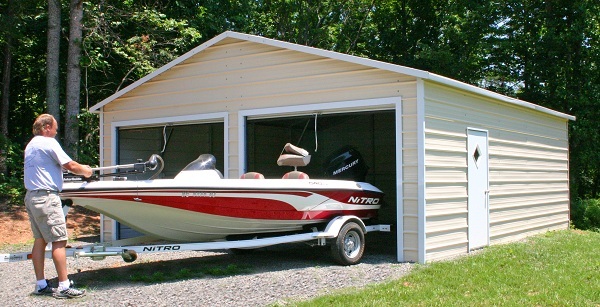 Metal garages make a great place to protect your boat or car from the hot Florida sun. We offer free delivery and setup throughout Florida, including Miami, Volusia, Ocala, Jacksonville, Orlando, Tampa, Pensacola, Bradenton, Summerfield, Fort Myers, and Brooksville. Once you’ve prepared your concrete pad, you’ll have your new structure up and running in no time! Call or order online today and you’ll see why so many people turn to us when they need a metal garage in FL. 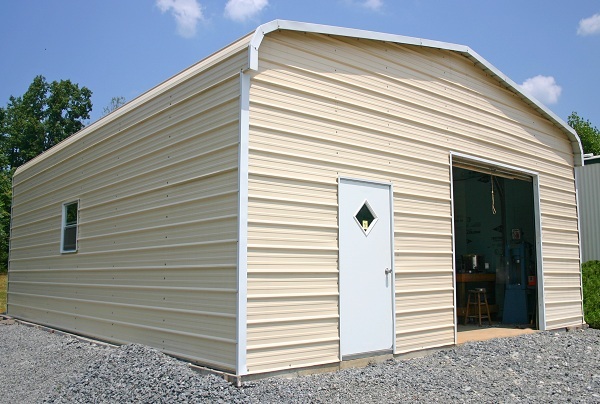 We offer the best price on sturdy, customizable prefab structures and garage kits. Florida residents have trusted us for years with their extra storage needs, and you should, too. Let us help you get just the right storage solution for your property today! Concrete pad example, For a 12x21 steel garage the concrete pad would need to be 12x20 which is the exact outside base dimension since there is a 6" overhang on the front and back ends. Of course you will want to check with your local county code to find out what is required for your location. Alan's Factory Outlet metal garages in Florida come with either mobile home anchors or cement anchors.